My new article on Regional Actors East of NATO (in German). Read digital version here. 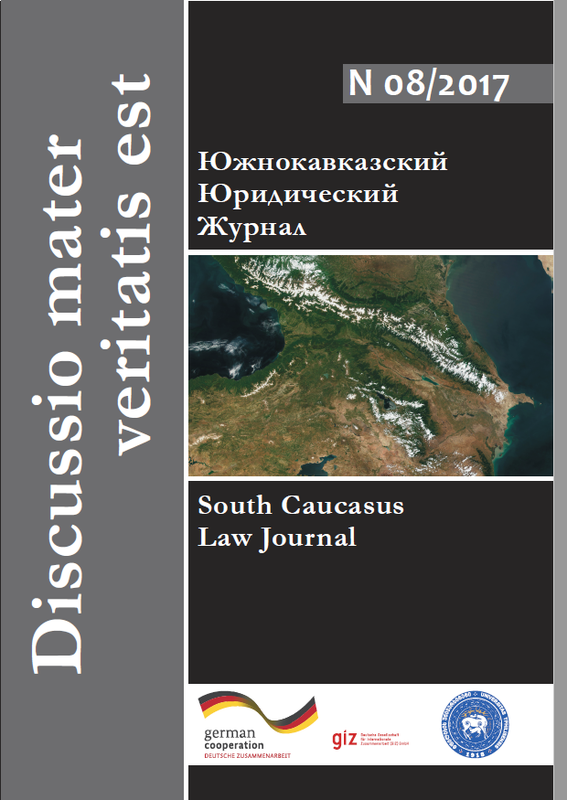 My new article on Constitutional Justice in Azerbaijan. Read digital version here. The possibility of President Trump's decision to lift some sanctions that were imposed on Russia has created some concern in both media and expert community and has even sparked the arguments that such course of action may even affect the international law enforcement in the most negative way. While there is some truth to that, the situation is much more complicated when it comes to the real enforcement of international law on the global scale. Indeed, when you are imposing sanctions on the state for violations of international law they should serve as an instrument of making that state comply with the rules and norms of international law. That much is true. However, it is rarely explained in the media, why U.S. have decided to impose sanctions on Russia unilaterally, albeit that it was then followed by some of its allies in Europe. The fact of the matter is that a lot of norms of the contemporary international law can be found in the Charter of the United Nations (UN), one of the grounding documents of the world order we live in right now. All members of the UN are bound by the norms that are embedded into the Charter and agree to follow these norms on international level. The Charter have established a body of the UN called Security Council, that is charged with the maintenance of international peace and security. This body consists of permanent and non-permanent members. The later are changing based on specific procedure, while the former remain members of the Security Council basically since the end of World War II. Conflict situations between states (such as for example between Russia and Ukraine) are falling under the jurisdiction of Security Council that has powers to impose sanctions based on the decisions of its members. This is a legitimate procedure on how international community makes decisions that the breach of one of the states of international law and its obligations under UN Charter should be treated with sanctions of economic, military or other character based on globally accepted norms of international law. The question then arises, why haven't the U.S. chose that same path to legitimize the sanctions against Russia through the UN with the support of the international community? The simple fact is that decisions of the Security Council can be vetoed by any of its permanent members and one of such members is Russia. Which brings us to the point that U.S. was unable to try and uphold the international law through customary procedure legitimate to the international community. U.S. then proceeds with the unilateral sanctions against Russia and nothing in international law forbids U.S. to do so. However, when U.S. acts unilaterally it means that it is a political decision of the government of the U.S., not of the international community. Moreover, the enforcement of any law (including international law) is effective and has desired effect only if it is applied to all the subjects of the law equally, without discrimination. Simply, the law should be equal to everybody. Hence, the importance of the collective decision on the matter that is represented by the procedures in the UN. The sad fact is that the U.S. is not applying the same rules and actions to all the states in the world equally when it comes to the international law. The stark example is the occupation of Nagorno-Karabakh and seven adjacent regions of Azerbaijan by Armenia. This occupation have been reflected in the multiple international legal documents and even in the decision of international judicial body that works specifically with international law. Nonetheless, the U.S. have not recognized Armenia as an aggressor state and have not imposed any sanctions on the aggressor despite the fact that this situation is protracted since the early 1990's. On the other hand, U.S. has imposed sanctions against Russia with practically no international legal documents or decisions of international organizations to support them, while ignoring the same situation in Russia's neighborhood. If U.S. can impose sanctions on the nuclear power and permanent member of UN Security Council it is obvious it can do so in regards to Armenia. Then, that brings us to the conclusion that the point of sanctions of the U.S. was not to uphold the international law and its principles, but to take steps on the international arena that would show discontent with its adversary. Thus, international law would not suffer from the partial or even total lift on the sanctions imposed on Russia, because it was not originally the point of the sanctions in the first place. Quite frankly the sanctions have proven to be ineffective towards Russia anyway, as they have not changed the position or Russia towards the situation in Ukraine and have yet to show any other effect desired by U.S.
Jacksonian school of thought is winning today in U.S. The starkest indicator of that is that the President of the U.S. is Donald Trump. As opposed to other three major schools (Wilsonian, Hamiltonian and Jeffersonian) Jacksonians are in the vanguard of American populism and promote isolationism in the global affairs of the U.S. The problem with that lies in the fact that after more than seven decades of U.S. foreign policy shaped by the Wilsonian and Hamiltonian schools of thought, sudden withdrawal to isolationism may bring the undesired result to Jacksonians -- war. The policy of isolationism for Jacksonians comes from their belief that concentration on the national matters would better serve the American people, rather than expenditure of resources of U.S. to shape the "outside" and invest away from homeland. At the same time Jacksonians are skeptical of elites and federal government and prefer to keep federal interference in domestic affairs as little as possible. Jacksonians enjoy populism and react very strongly to anything they may see as a threat to national security. While not wanting to engage in wars or conflict situation abroad, Jacksonians would greet any perceived threat to the U.S. with readiness to defend their believes and their country. Recent events are very indicative of that. Donald Trump have recently assumed his office as the President of the U.S. and have pushed very fast to sign an executive order that have been nicknamed by the media as the "immigration ban". Trump's order was meant to be seen as his swift follow-up on his presidential campaign promise to strengthen borders and keep certain refugees from entering the U.S. This promise was based on the fear of Islamic terrorism trickling into the U.S. with refugees from Middle East running from war there. It appealed to the Jacksonians very well . Jacksonians have seen these refugees as the direct result of the strong engagement of the U.S. in the Middle East, that was (and is) deemed unnecessary by this school of thought. In their opinion the direct result of such engagement is a threat to the U.S. national security in form of influx of refugees that can bring with them terror directly to Jacksonian "homeland". The same popular vote that have brought Donald Trump to presidency is now also very strongly supporting this executive order of his. It is obvious that this support is Jacksonian-based. Populism, fear of national security, preference of isolation, rejection of the "foreign" -- practically all features are there. However, if such policies continue, this may play a very sad and nasty trick on Jacksonians. Although, President Trump have issued an executive order that halted some groups of refugees and travel for some Muslim-majority countries, the implementation of the order have been very poorly planned and executed. Even "green card" holders have been affected by the order. These are the people, who have built lives quite legally in the U.S. and have participated (and mostly integrated) in both economy and society. In addition to the protests in the U.S. sparked by the problems that have been created by the order, Middle Eastern countries that were affected are deciding or implementing counter-measures. On one hand President Trump has made a clear statement that he is dedicated to fighting Islamic terrorism, however on the other hand the situation created by his executive order helps in shaping the negative image of the U.S. in the Middle East, making affairs for terrorist organizations much easier in terms of (for example) recruitment. Many narratives of terrorist organizations are based on the negative image of the U.S. being hostile towards Middle East as a whole and generally towards Muslims. By supporting this negative image with the clumsy executive order, Trump's administration may do more damage to the Jacksonian ideals than actually help upholding them. The negative sentiment towards the U.S. in the Middle East will bring more hatred, more recruits to the terrorist groups, more reluctant allies in the fight against terrorism and thus more concentrated front against the U.S.
Travel restrictions have never been proven as an effective counter-measure against terrorist activity. Today the perpetrator of the act of terrorism can be radicalized through the social media while being already in the country where the attack would be carried out and living there for some time. 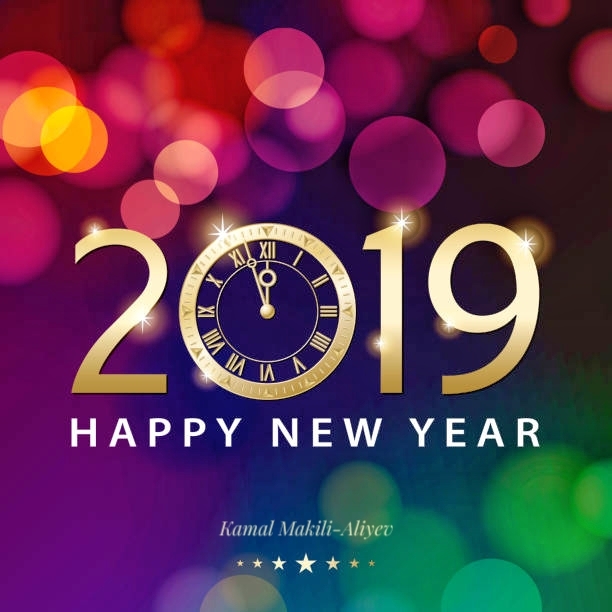 However, presenting yourself as an opponent of Muslim populations in the Middle East through your direct actions (such as "immigration ban") on the height of struggle against ISIS and similar groups, may lead only towards negative results in the long term. Despite the fact that in the short term such populist measure can ensure you 49% of Jacksonian support. The direct result of this as with any such "ban" can be that the people who want to "trickle terror" into the U.S. will redouble their efforts, emboldened by newly acquired narratives such as, for example, that the "U.S. is against all Muslims". 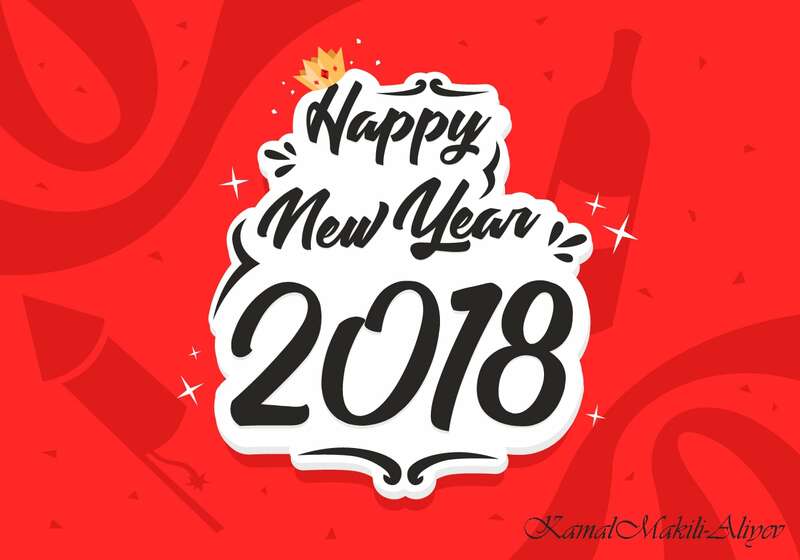 As more such policies and decisions come, the amount of efforts will pile up and in the end the U.S. will find itself truly besieged by the attempts to import terrorism to its territory, while simultaneously trying to fight radicalization online to prevent homegrown terror cells. Thus, the Jacksonians have a real risk of meeting "war on terror" much closer than they would like to, as a direct result of the actions they now support. After Donald J. Trump has become a president-elect of the United States of America there has been an ongoing debate about largely anything connected to that fact and not least about the President's vision of the U.S. foreign policy. While there is no lack of arguments from different experts, most of them agree that the change is coming to that particular area of the functioning of the state. 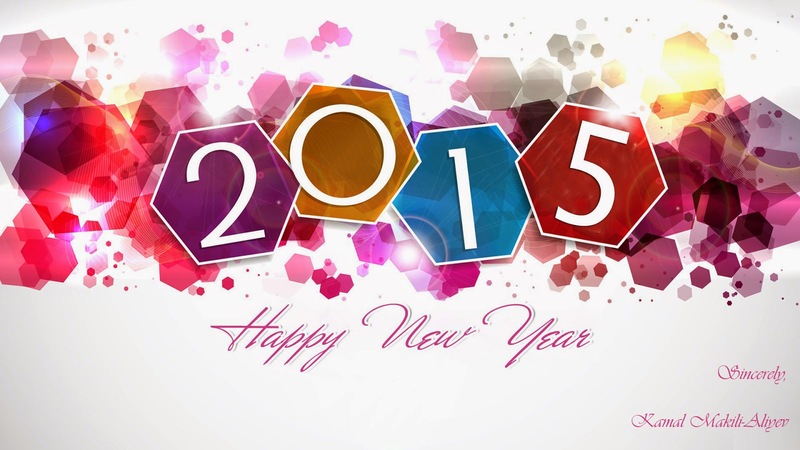 The differences in opinions expressed usually cover details of what may actually change. Max Boot even argues in his recent article that Mr. Trump's foreign policy might not be that different from that of Mr. Obama's by nature, however quite different in style. If Obama wanted to withdraw from the world very carefully, Trump may not be so subtle and gentle to the existing order and that may lead to the post-American age sooner than later. True enough also for the South Caucasus, where eight years of the Obama administration have brought a clear sense of withdrawal of the U.S. from the region both in terms of its geopolitical influence and its general presence as a global power. Today, countries of the region, as well as the vast majority of other states in the world are trying to evaluate the consequences of the recent U.S. elections and predict what that would mean for the policy of the U.S. towards their small but very strategically located region, surrounded by bigger states such as Russia, Iran and Turkey. As the U.S. presidential transition period is progressing, the states of the South Caucasus are watching and analyzing the transition through the prism of their own interests. A recent announcement of the Ambassador of the United States and Co-Chair of the Minsk Group of OSCE James Warlick on his Twitter account that he would be stepping down from his position and leaving the State Department has made all the regional news' headlines in the South Caucasus. This news generated a lot of interest due to the fact that James Warlick is an American representative in the Minsk Group that is charged with the meditation and resolution of the Nagorno-Karabakh conflict between Armenia and Azerbaijan with two other Co-Chairs from France and Russia. Moreover, at the same time news hit that Ambassador Warlick will join the Egorov Puginsky Afanasiev & Partners law firm. He himself described this company as "...Russia's largest and most prestigious law firm" in a tweet, that he apparently later deleted. Egorov Puginsky Afanasiev & Partners law firm (or EPA&P) has been established in 1993 with offices in Moscow, St. Petersburg and associated office in London. It specializes in representation of foreign companies in Russia and Russian companies abroad. Reportedly it is also quite connected to the Russian government and businesses. The soon-to-be-former U.S. diplomat is planning to join this law firm as a partner. Ambassador Warlick has taken the position of the Co-Chair of the Minsk Group in September 2013 and will remain in this position until the end of this year. His appointment was made during the second term of the Obama administration and if the position he is going to take after should be viewed as any indicator, the attitude of Obama’s foreign policy advisors towards the main security threat in the South Caucasus becomes quite clear. Nagorno-Karabakh conflict has reaffirmed its position as the main security threat in the South Caucasus region after the recent escalation in April 2016. That escalation led to both the short-lived re-intensification of negotiations process in this conflict and the arms race between Armenia and Azerbaijan reaching new levels with Armenia having demonstrated that it acquired 9K720 "Iskander" (known in NATO terminology as SS-26 Stone) mobile short-range ballistic missile systems from Russia in September 2016. The acquisition of such sophisticated and modern weaponry by one of the sides of this unstable conflict brings on the pressure to the other side to keep up and procure equal capabilities both in terms of offense and defense. 9K720 are capable of a very accurate targeting on the distance of up to 500 km (approx. 311 miles). In comparison, the distance between capitals of Armenia and Azerbaijan is around 400 km. Acquisition of missile systems by Armenia followed the aforementioned re-intensification of negotiations. This dynamics in negotiation process have been very visible during the summer and then gradually went down right after Armenia have demonstrated the systems in the beginning of fall. Another feature of the said summer was the crisis that Yerevan have lived through with hostage situation and "Sasna Tsrer" terrorist group. The pattern clearly indicates that there was a possibility of the processes around Nagorno-Karabakh conflict to develop in more peaceful way. Instead, Armenia chose to move on with show of strength and incite even more serious arms race, simultaneously backing off in negotiations. Hence, after the two consecutive terms of the Obama administration, the peak year of 2016 resulted in both the unprecedented military escalation and gradually new levels of arms race in the South Caucasus - a general outcome of a foreign policy that aims at withdrawing from the world and pivoting towards isolationism. If Trump's administration is to continue within the same general direction in the U.S. foreign policy, it is quite possible that the processes of militarization and intensification of the hostilities in the region will pick up a new pace with the more aggressive withdrawal policies of the new administration. The South Caucasus may see post-American era much sooner than many other regions in the world. 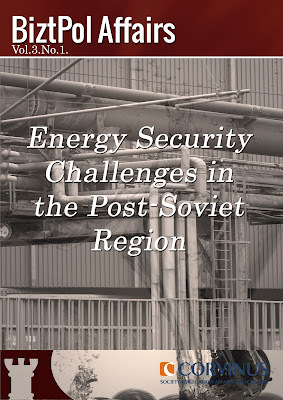 This may be very harmful to the U.S. interests due to the fact that South Caucasus is seen as a region that plays an important part in energy security of Europe that is provided by Azerbaijan via Georgia and Turkey. 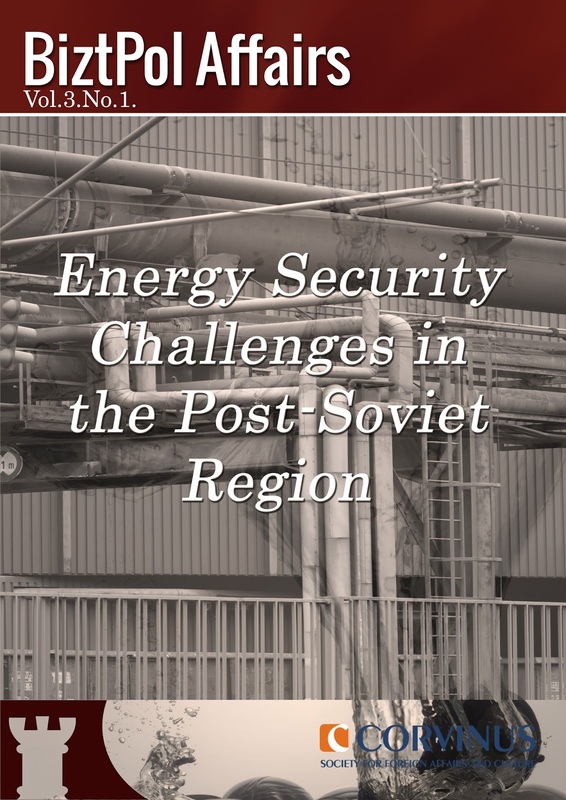 The instability that could be brought by the militarization and hostilities in the region may harm this important energy security framework. In this context the region awaits the appointment of a new Secretary of State in Trump's administration and that of a new U.S. Co-Chair of the Minsk Group as to indicate how things are likely to develop for the region. The election of Mr. Trump as the next President of the U.S. has truly brought a lot of change. There is a chance that if Mr. Trump appoints such people to the aforementioned positions that will be quite aware of risk factors for South Caucasus and will be able to adopt a realistic view on current processes and in retrospective, the described dangerous trend can be stopped or even reversed. The negative stance of Mr. Trump on lobbying organizations is another factor that may prevent the Armenian-American lobby from intervening into U.S. foreign policy shaping process. So change may turn out good after all. The EU-Azerbaijan relations have seen a progressive development throughout the years. Economic relations have seen a lot of growth in terms of hydrocarbons trade and major energy projects. Political side of relations is also steadily developing with EU and Azerbaijan working on the framework agreements on strategic partnerships that will indicate the high levels of relations. Readiness of EU to work on major projects with Azerbaijan, liberalized visa regime and blooming bilateral relations with most of the EU-states are the indicators of the high level of interaction of sides, common interests and values. Since Azerbaijan have regained its independence in 1991 it is facing a protracted armed conflict with neighboring Armenia around Nagorno-Karabakh that have led to disastrous consequences for the region in terms of humanitarian catastrophe of around 1 million of Azerbaijani refugees and IDPs that were forced to leave their homes. The aggression of the Republic of Armenia and its occupation of internationally recognized territories of Azerbaijan are undisputable and have been recently confirmed by the judgment of European Court of Human Rights in Chiragov and others v. Armenia case. Yes, the European international judicial body with a very high global authority and regard. Despite the unsubstantiated arguments of Armenians that Nagorno-Karabakh's Armenian population constitutes "peoples", that these "peoples" have voted on the referendum in accordance with Soviet legislation and international norms, that these "peoples" have right to self-determination, the European Court of Human Rights acting within the norms of international law have passed a proper judgment. Of course there are no "peoples of Nagorno-Karabakh" and there have never been such "peoples". Armenians of Nagorno-Karabakh are the national minority on the territory of Azerbaijan and that minority have expelled all the Azerbaijanis not only from former Nagorno-Karabakh Autonomous Oblast' but from the seven adjacent regions of Azerbaijan, which is clear from the aforementioned judgment. National minorities do not have a right to self-determination in broader sense - so there is no right to secession for them. Otherwise any minority in any country would be able to establish a new state. Not a single country or entity from the 15 former states of Soviet Union have used Soviet legislation to leave the Union or have fulfilled all the legal criteria for that. Instead the Union dissolved at the end of 1991 and all the former Soviet Republics were recognized in accordance with the principle uti possidetis juris in the same borders as they have had them in USSR's administrative boundaries. Nagorno-Karabakh have been an integral part of Azerbaijan Soviet Socialist Republic, that in its own turn, was an integral part of Soviet Union. Nagorno-Karabakh was not a historical part of Armenia. In XIX century Karabakh khanate have been incorporated into Imperial Russia and later was a part of Azerbaijan Democratic Republic for a short period of time, when that Republic became a part of Soviet Union. Due to the fact that this territory had a Armenian minority living there compactly, in 1923 the decision was taken by the Soviet authorities to grant the mountainous part of Karabakh status of Autonomous Oblast'. It has to be pointed out that the same was not done for the Azerbaijani minority leaving compactly in Zangezur of Armenia. Those Azerbaijanis have been expelled during war between Armenia and Azerbaijan in 1990-s and constitute main bulk of refugees from Armenia. Thus all the arguments about Nagorno-Karabakh "never being part of Azerbaijan" are quite false. Even XIX century documented accounts of UK Foreign Office indicate Karabakh as part of country of Azerbaijan inside of Imperial Russia. Despite all that, EU instead of adopting an objective stance on Nagorno-Karabakh conflict and condemn the occupation of Azerbaijani territories by Armenia, have chosen to stay "neutral" and sacrifice the objectivity for the good relations with both sides of the conflict. Such approach does not reflect neither the level of cooperation, nor the developments in relations between EU and Azerbaijan. It has also jeopardized the view that EU is governed by the democratic values, international law and objectivity. Being neutral and being objective are not the same. It is high time for EU to show objectivity and openly condemn the occupation of Azerbaijani territories by aggressor and show support for the just position of Azerbaijan in accordance with international law. 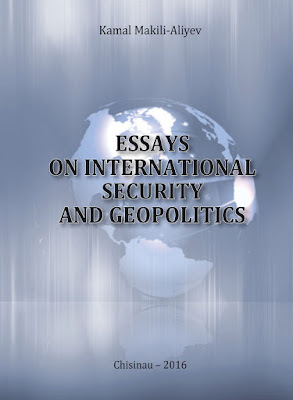 New book: "Essays on International Security and Geopolitics"
My new book that embodies the collection of articles published during my first five years of work as an analyst in the Center for Strategic Studies under the President of the Republic of Azerbaijan. 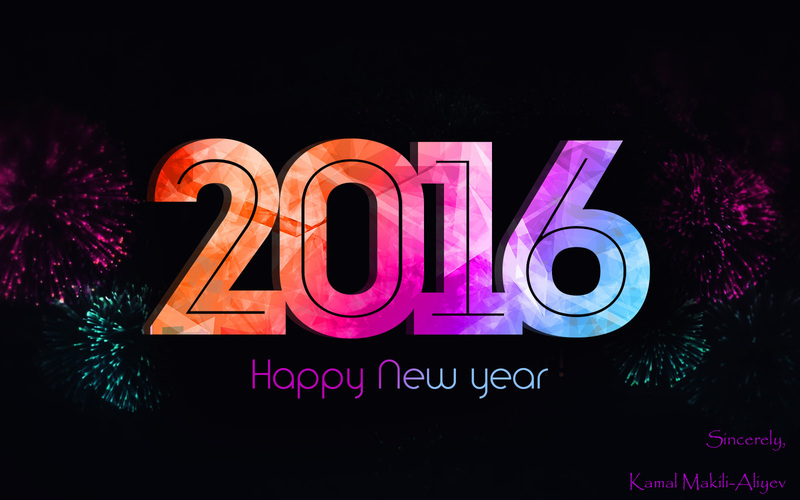 The digital version can be found here. 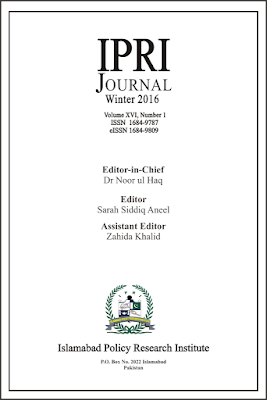 My joint article with a Pakistani colleague called Pakistan-Azerbaijan Economic and Defense Cooperation that we wrote on the topics of bilateral cooperation between our countries can be found here. It is actually very simple. Contrary to the statements made in the mass media when it covers the Nagorno-Karabakh conflict, this mountainous region of Azerbaijan is not disputed in any way. It is occupied. So says the international law and recently that same opinion follows from the ruling of the international judicial body - European Court of Human Rights. Despite the allegations of Armenia (that have in fact occupied sovereign territory of Azerbaijan) that the remaining ethnically Armenian population of the region has exercised the right to self-determination, it has been proven false again and again. For once, Armenians living in Nagorno-Karabakh are not "people" in the meaning of UN Charter to enjoy such a right. Armenians have already exercised that right in Armenia, where they have an internationally recognized state. Thus, making them a national minority on the territory of Azerbaijan and not some kind of "Nagorno-Karabakh people". Otherwise, Armenians would have a right to self-determination in U.S., Russia, France and other countries where they have large communities, creating a horde of small states. This is simply illogical. No state have recognized the separatist entity in Nagorno-Karabakh, including Armenia. No state have recognized Armenian claims on this region as well. So basically there is no dispute on the attribution of the region. The European Court of Human Rights have actually engraved all of the above into the international jurisprudence. On 16 June 2015 Grand Chamber of the European Court of Human Rights have come up with two judgments on the reciprocal cases Chiragov and Others v. Armenia and Sargsyan v. Azerbaijan. Both cases seemed to have very close and even balanced judgments and that Court intended not to stir political side of the question. However, closer examination shows that this is far from reality and it was impossible for the Court to escape some very serious issues related to the status quo in Nagorno-Karabakh. For example, in Chiragov v. Armenia case, Court addresses the separatist entity "Nagorno-Karabakh Republic" specifically in brackets to show that it is not in any way recognized officially. It also establishes the fact that there are no Azerbaijanis left in the occupied territories of the former Nagorno-Karabakh Autonomous Oblast' as well as in the adjacent seven regions. Thus, basically acknowledging that Armenians were able to carry out complete ethnic cleansing on those territories. Those ethnic cleansings resulted in around 750.000 internally displaced persons living in Azerbaijan now and additional 250.000 refugees of Azerbaijani origin expelled from Armenia itself. Moreover, the Court recognizes Armenian military and financial control over so-called "Nagorno-Karabakh Republic" and comes to the opinion that Armenia has "effective" control in Nagorno-Karabakh. Thus, Armenia have been found in violation of the corresponding articles in the aforementioned case. Precisely due to the effective control it has over Nagorno-Karabakh. So if one state has an "effective control" over the recognized territory of the other state there cannot be any doubt of the occupation. Therefore there cannot be any dispute over the attribution of the Nagorno-Karabakh region per se. Occupation of someone's sovereign territory does not make that territory disputed in anyway. The conflict itself being a territorial can be resolved. Even ethnic complication can be lifted given the right attitude towards the resolution. The rights of the Armenian minority to culture, language and religion can be guaranteed without violation of Azerbaijan's territorial integrity. Armenians can be equal citizens of Azerbaijan enjoying minority rights and largest possible autonomy there is. Azerbaijan have already expressed this proposal many times through its government. Interestingly, mass media is somehow following up on twisting the real discourse and disregarding all of the international legal data on the subject. Basically trying to be "neutral" when reporting on the conflict. However, neutrality does not in any way mean objectivity. And objectivity is what the image of the Nagorno-Karabakh Conflict really lacks today. So the discourse that mass media shapes now, instead of playing in favor of conflict resolution actually helps the hostilities escalate. If mass media will continue to shape its "neutral" discourse and will not begin to lean on the facts, it will only embolden the Armenia's position of staying on their grounds of occupation, lack of will for resolution, preservation of status quo and destructive stance on violence as opposed to the compromise that would allow Armenia to ensure the rights of its minority in Azerbaijan as true caring kin-state. Bryant McGill very sharply pointed out that: "Where wise actions are the fruit of life, wise discourse is the pollination". 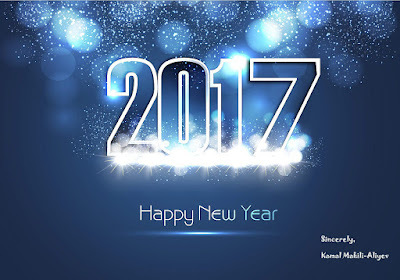 In order for the resolution of the conflict to bring some fruits, the discourse should first of all turn to the wise one. While the Nagorno-Karabakh is not a disputed region of Azerbaijan, the discourse around it should become the subject to a very profound change. 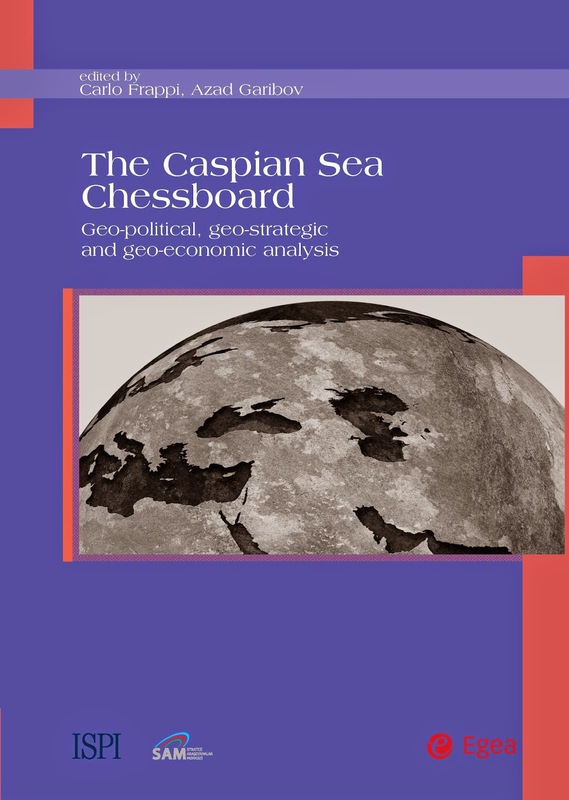 My article on legal status of Caspian Sea in ‘The Caspian Sea Chessboard: Geopolitical, geo-strategic and geo-economic analysis’ - reviewed in BitzPol Affairs and can be found here. Please read my new article on Caspian 'Sea' and Its International Legal Status published in new book by ISPI (Italy) and Center for Strategic Studies (Azerbaijan) - "The Caspian Sea Chessboard: Geo-political, geo-strategic and geo-economic analysis" Carlo Frappi and Azad Garibov eds. that can be found here. 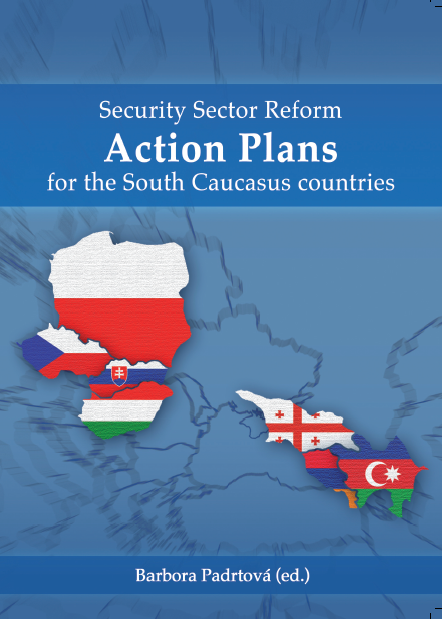 Please read my new article on Security Sector Reform Action Plan for Azerbaijan written in cooperation with Czech colleague Vít Střítecký in new book by Centre for European and North Atlantic Affairs - "Security Sector Reform Action Plans for the South Caucasus Countries" B.Padrtová ed. that can be found here. 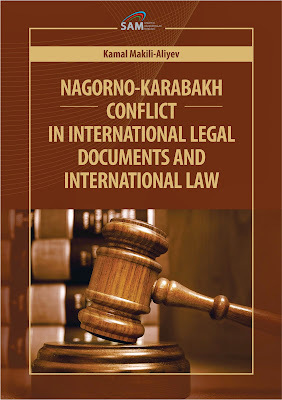 New book: "Nagorno-Karabakh Conflict in International Legal Documents and International Law"
My new book called "Nagorno-Karabakh Conflict in International Legal Documents and International Law" was just published by Center for Strategic Studies under the President of the Republic of Azerbaijan (SAM). For those interested in reading it's digital copy can be found here. It is well understood that NATO presence in South Caucasus is very limited due to the geopolitical factors of presence of such regional players such as Russia and Iran. Reluctance of NATO to engage South Caucasian states more closely after the events of 2008 during the Russian-Georgian war is understandable, however it may seem overcautious. At the same time if the situation changes and there will be expectations of some sort of agreement on Nagorno-Karabakh problem, security guarantees will play one of the major roles in stabilizing and negating possible tensions that the process of resolution may bring to the region. NATO has considerable experience when it comes to peacekeeping operations and maintenance of peace and security. 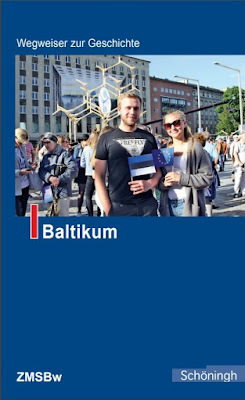 Balkans, Libya and Afghanistan are some of the examples of such activities. Positive and negative aspects of these experiences maybe still debatable, however it is undeniable that they have showed that NATO is capable of carrying out such operations even in the large scale missions like Afghanistan. These situations are also indications of the changing role of NATO as security organization. The threats to North Atlantic area do not originate from “state-actors only” anymore. Non-state actors are the new challenges to the global security – terrorism, cyberwarfare and weapons of mass destruction (WMDs) are the new threats that NATO faces. The ability of organization to acknowledge and adapt to new realities will play crucial role in the future of NATO. NATO will have to redefine the approaches to deadlocked conflicts and non-conventional threats to be able to address the pressing issues of regional and international security. Arguably as the situation changes with the nature of threats, so does the situation change with their scope. In the new age of security frameworks, conflicts in non-member states bordering NATO, start to become new security challenges for the NATO as the possibility of unconventional warfare spill-over into territories of NATO members is a reality and not a myth anymore. One such example is the situation in Syria. Nagorno-Karabakh is another conflict that is on the border of NATO. Though far from the active phase it still remains a threat to the international peace and security, and thus to the NATO as well. Ultimately, NATO should be interested in the resolution of the conflict and engagement in the situation with intent to help. However geopolitical realities do not allow for such a close engagement and presence. What can be done in such a situation? First of all there is a lack of understanding and compromise in terms of strict “red lines” drawn between NATO and major regional power in the region of South Caucasus – Russia. Naturally, given the changing nature of threats to the international security NATO and Russia should cooperate to address unconventional threats from non-state actors that affect both parties. The same goes to protracted unresolved conflicts on their borders. At the same time it is understandable that both NATO and Russia have their separate political and security agendas that may be in conflict with each other. Nonetheless, when it comes to Nagorno-Karabakh conflict the compromise needed that may satisfy all the interested parties. One such compromise may be a joint peacekeeping operation of NATO with Russia-led CSTO. In that way both organizations would have equal amount of participation to keep each over in check and balance. To satisfy parties to the conflict, namely Armenia and Azerbaijan, the participation of troops from the countries of the OSCE Minsk Group co-chairs as well as from the conflicting states should be excluded to ensure impartiality of forces. At the same time all these aforementioned states may provide financial assistance to NATO and CSTO troops respectively thus ensuring their own participation and interests in the peacekeeping efforts after some kind of agreement reached around Nagorno-Karabakh. Such concept may seem futuristic; however, the only way to address the new era of threats to international peace and security is cooperation between military alliances of different political allegiances. If a proper understanding could be reached, these prospects may not seem fictional anymore. In any case, compromise over common security concerns may lead to the transition in the Nagorno-Karabakh conflict and stabilize the security situation in the South Caucasus. Doctor Habilitatus / LL.D. (Legum Doctor) in International and Constitutional Law. Scholar/Analyst and an independent expert in international law, conflicts, security and defense. Researcher at Lund University, Sweden. Право народов на самоопределение к армянам Нагорного Карабаха не относится. Как не крути. Надежды армян на ОДКБ. На чьей стороне международное право? Kamal MAKILI-ALIYEV. 2011-2018. Powered by Blogger.